Bonjour, merci pour ce post ! Peux-tu en dire plus? Est-ce Storj propose deja la possibilité de proposer son propre stockage ? 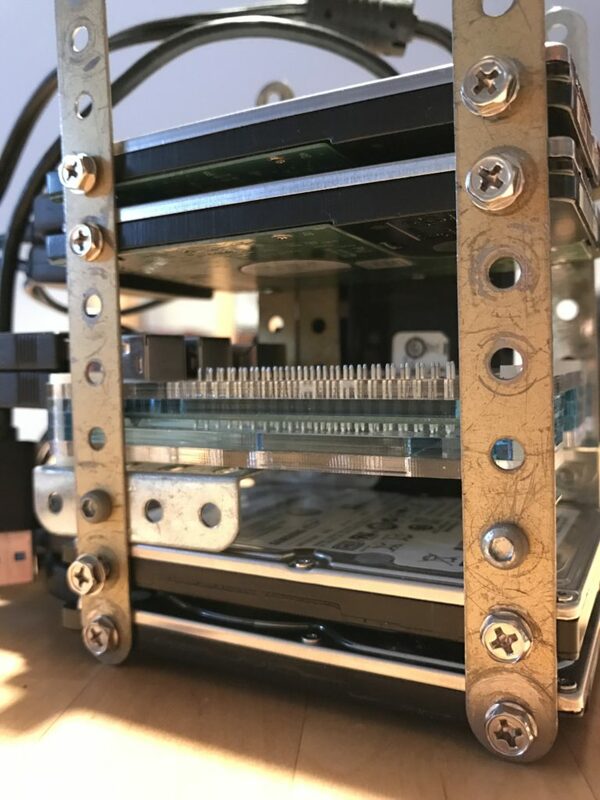 Ping : Build your own Storj.io farming node with Raspberry and Meccano @Raspberry_Pi #PiDay #RaspberryPi « Adafruit Industries – Makers, hackers, artists, designers and engineers! Please submit a video tutorials..
Great tutorial! 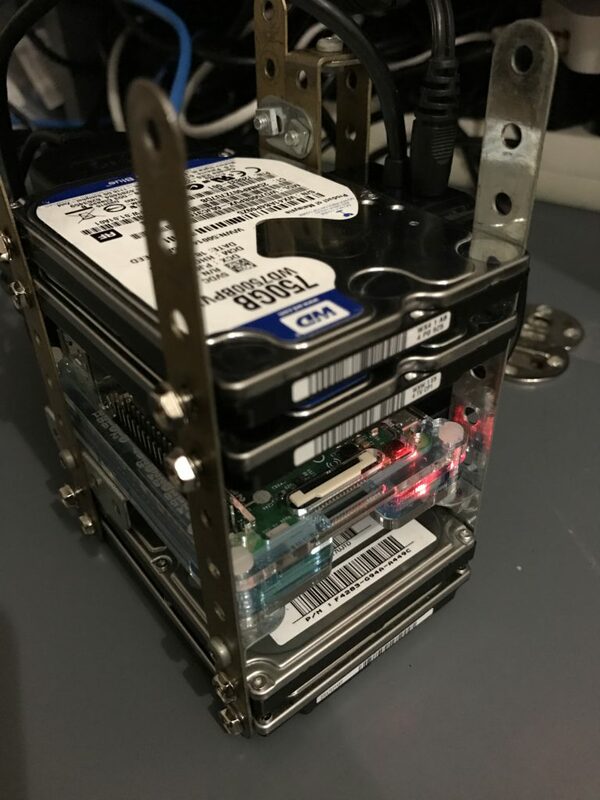 I’m really interested in doing this, I have a small doubt, how can I add more drives in the future? 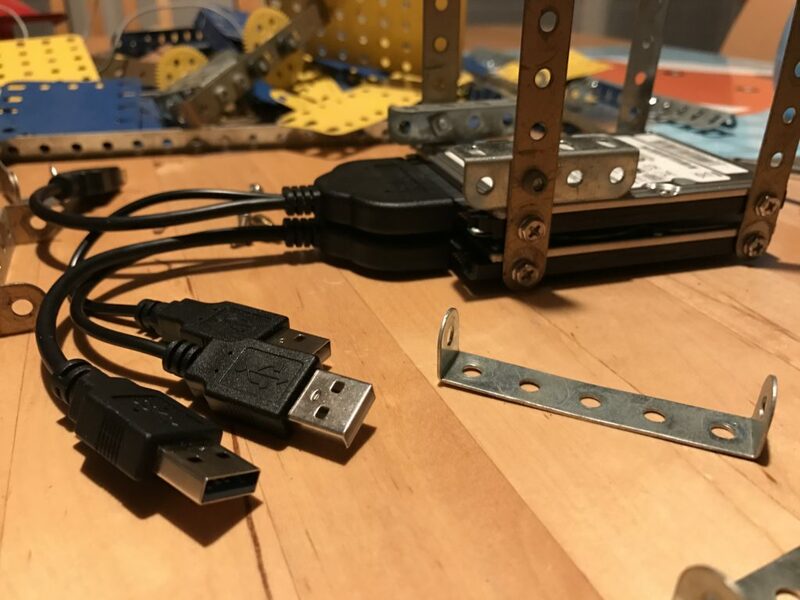 Quel est le hub USB que tu as? Nice. So, if I were to use only three disks and power them off the hub, I could use the 4th hub port to feed the RPi? 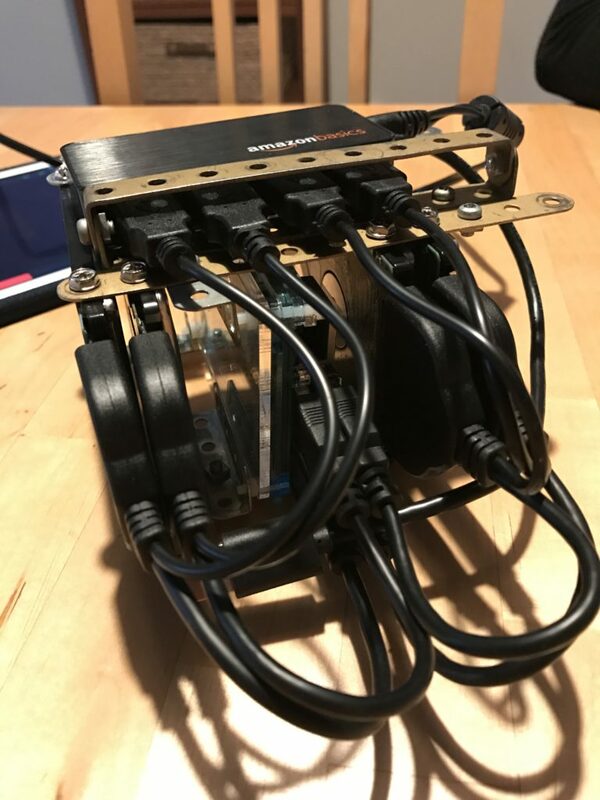 Hi – I’m trying to replicate this, but I was wondering what OS on the raspberry pi you’re running. I don’t see it being mentioned in this article. First of all I am going to thank you for very detailed topic. 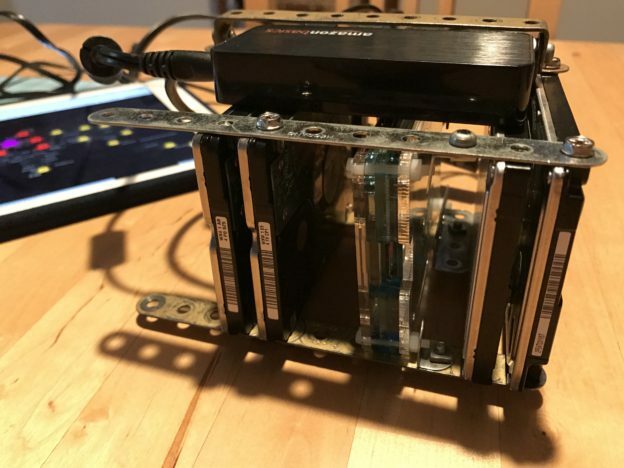 I tried to duplicate it, and I believe there are more people around who will try it in the near future, especially with the recent token sale from Storj. What I was wonder was, what do we put under YOURSJCXTOKEN at the 6th step? alguiewn habla español para que me ayude a configurar el rig??? And how much it consume? How much do you win/month? if you have commmentaire on your website at least answer the questions….otherwise close the section. What is monthly profit with these 4 disks?